The Greater Sydney Commission’s recently released District Plans provide a strategic roadmap for the next 20 years, but the Property Council of Australia said the potential for a new species of ‘inclusionary zoning’ could put housing supply targets at risk. 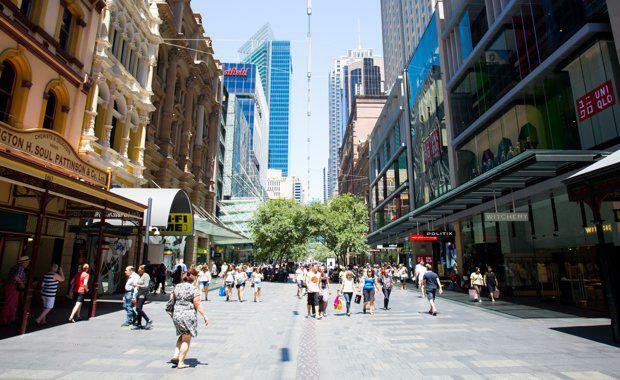 The six district plans include targets for Sydney’s jobs, housing and new businesses. They also incorporate an ‘affordable rental housing target’ (ARHT) of between 5 and 10 per cent in urban renewal and land release areas which could dampen housing supply if additional height and density, above what would currently be the outcome of a rezoning process, do not result. Property Council NSW Executive Director Jane Fitzgerald said the release of the plans was an important milestone in the development of Sydney as a truly global city, but also said that the plans’ focus on housing supply was important but the proposed AHRT included in the draft plans was a risk. “Housing supply targets are important and 725,000 new dwellings over the next 20 years would be a much-needed turbo charged injection of housing supply – yet based on the 30,000 completions over the past year, the highest since the Olympics, we will still fall 125,000 houses short,” she said. “If new residential development is not stimulated and encouraged to reach these new targets, meeting them will be a pipedream. It is how the plans are implemented that will be vital. If local government does not get on board and change their LEPs accordingly and then implement the new strategic visions, then we will not see the full benefit realised. “The AHRT is also on top of an ever-increasing list of fees, levies and charges – infrastructure taxes, taxes on foreign capital and stamp duty to name a few – that all add up to hurt homebuyers who ultimately pay the price. If the AHRT operates as a disincentive to residential development, the ambitious housing targets outlined in the plans will never be met. “Unless the proposed new AHRT is compensated for by 10 percent more height or density for individual developments, affordable rental housing for some will mean less affordable housing for the rest. “If what would have been a 10 storey development will now be allowed at 11 storeys it will be a positive outcome for everyone. But if the same development now only results in nine storeys of housing stock for sale with one storey of affordable rental housing as a result of the AHRT then ultimately no one will win. The documentation released by the Greater Sydney Commission states that the application of the AHRT will be subject to a viability test but that further details are yet to be worked out. “While we look forward to working with the GSC over the months ahead it is important to state upfront that neither they nor local councils are well placed to determine what might equal a viable development in a specific instance,” Ms Fitzgerald said.